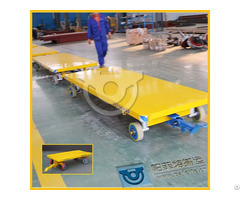 Trackless flat cart manufactured by Henan Perfect Handling Equipment Co., Ltd., the global size of the trolley is low and the service life of the trolley is long, on the same time, the load capacity is customized from 1 ton to 30 tons. The frame of the trolley is made of steel beam, the steering mechanism is connected by steel bar, so that the turning radius is very short, which makes it very flexible working on small space. 1. 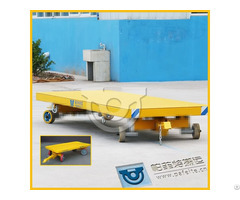 The trolley has adjusting device for rough pavement. 2. All the connecting bars are finish machined to improve the turning accuracy. 3. 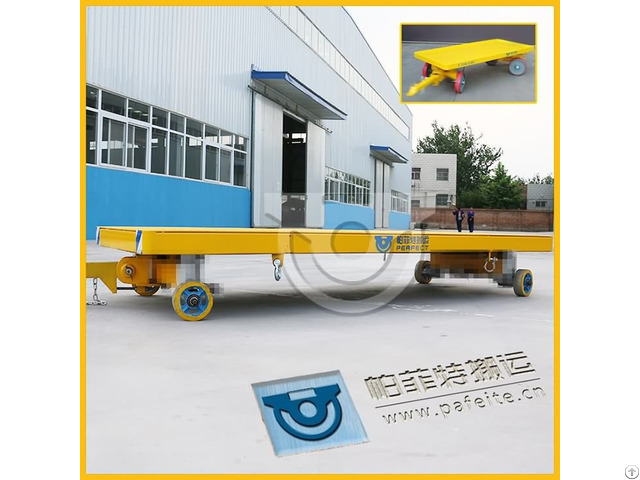 The trolley is welded together by Q345 steel plate, all the connection is round corner, and the edges are polished to avoid potential injury to operator. 4. All the parts of the trolley are easily removed for maintenance. 5. The pin for the connection is joined to the trolley by a chain. Posted By: Henan Perfect Handling Equipment Co.,Ltd. 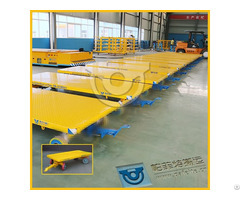 manufacturing company of handling equipment. towed type, BWP trackless type and special type, such as turning, trackless,ladle, hydraulic lifting, ferry, painting room,blasting booth etc.